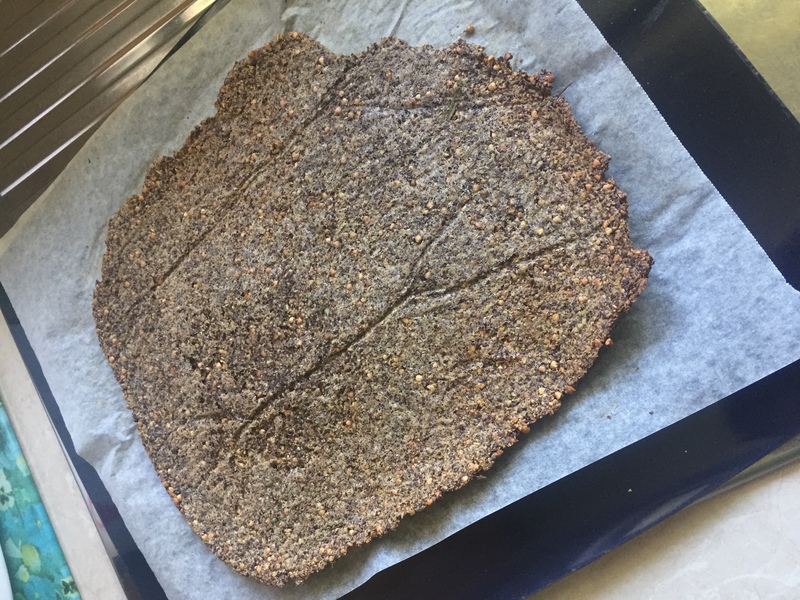 I’ve been wanting to try my hand at seed crackers for ages. I’ve seen them shared by he likes of low carbers and health kick programs, but how could I justify buying a whole bunch of foreign ingredients for a recipe that might not even turn out? But with a bunch of leftover seeds in the pantry from a lapsed health kick in my house, I finally had the perfect opportunity to do so over the weekend. 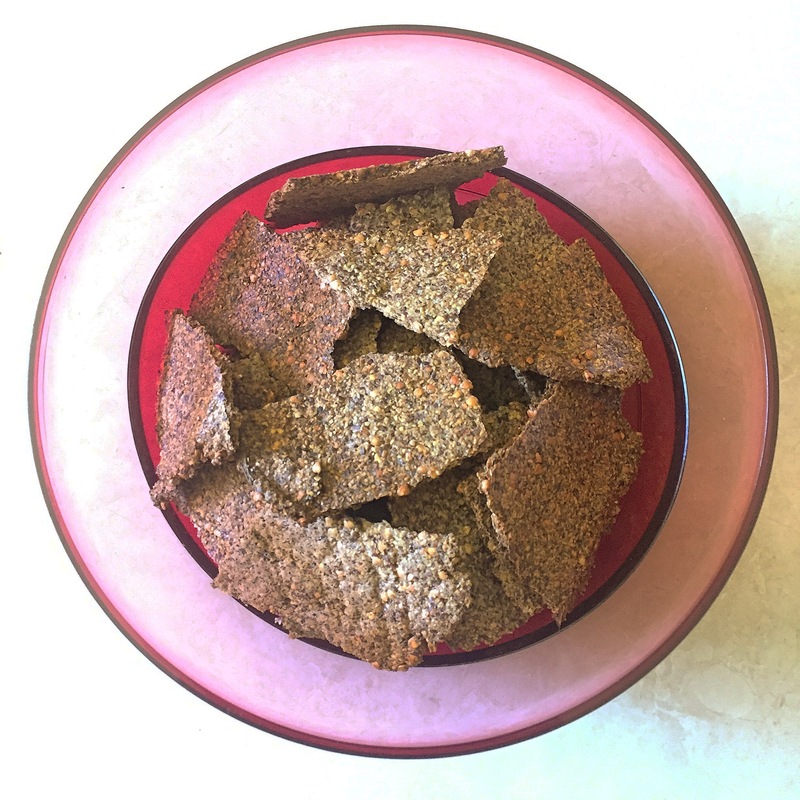 These are as easy as combining 1/4 cup chia seeds, 2 cups of LSA (Linseed, Sunflower Seed and Almond Mix), 1/2 cup of buckwheat, 1 1/2 cups warm water and rosemary flakes in a bowl. Then spread it out in a nice thin layer over two baking trays lined with greaseproof paper. I would suggest seasoning them generously with salt and pepper before placing them in the oven. Then simply bake on 180C for 1 hour or until golden and crispy. I had to adapt this recipe to deplete some of the ingredients in my cupboard, but you could definitely mix this up with whatever seeds and seasonings that take your fancy. Just make sure that you don’t leave out the Chia, as this is what binds it all together. The verdict? They tasted similar to Ryvita crackers, minus that sandy stuff on the outside. They did taste plain, but then again they are crackers and best eaten with something. I think more generous seasoning, and some whole seeds rather than the ground LSA, would have added some more flavour and less carbs to these. I would definitely tweak the recipe and make these again. Hey those look pretty good, lets get some Indiana Jelly, Michigan beer and Washington Apples, then we can get some things you like from Australia and, forget it all drink the beer and call it a day. Oh eating crackers of course.